When the first pictures of the BMW Lo-Rider concept released at the EICMA show in Milan in 2008, I knew I had to have it. It is what a motorcycle is and should be, simple, basic, exposed engine, visible frame and finally a classic, elegant and timeless fuel tank to gel all these together. After 6 years of wait, I finally got my hands on one, it’s called the R nineT (pronounced R 90) now but the concept hasn’t changed much from the original. It used a hexhead single camshaft R1200 engine then but it is replaced by the camhead DOHC R1200 engine in the production unit, which I am glad because the camheads, besides the horsepower increase, also have a better exhaust pitch and note. BMW didn’t even change the colour scheme for the tank. Guess someone in there has stamped “DO NOT CHANGE” on the drawing board. Other obvious differences between the concept and the production unit are headlight, instrument panel, exhaust system and seat. 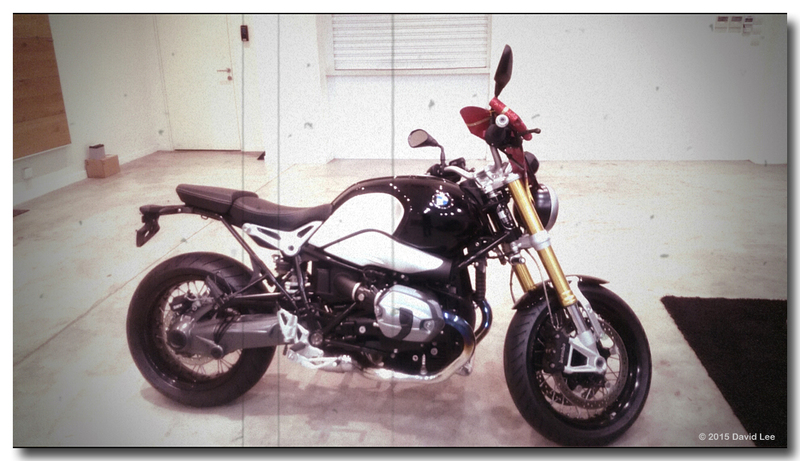 Now meet Lisha, born in Germany on January 2014 and the first unit to grace the streets of Singapore later in May. Was fortunate run her in for her first 1,000km. The musical note that sang from the pair of Akrapovic exhaust silencers was what really got me riding all day, enough to overcome the pain piercing into my backsides from the wafer thin seat. 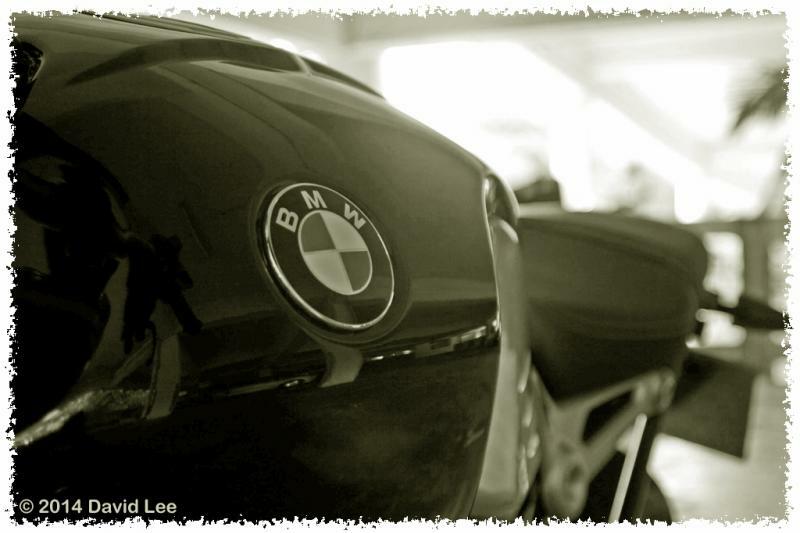 I am not new to the DOHC R1200 engine, I still own and ride the R1200GS Adv. (2010), and very much love it. 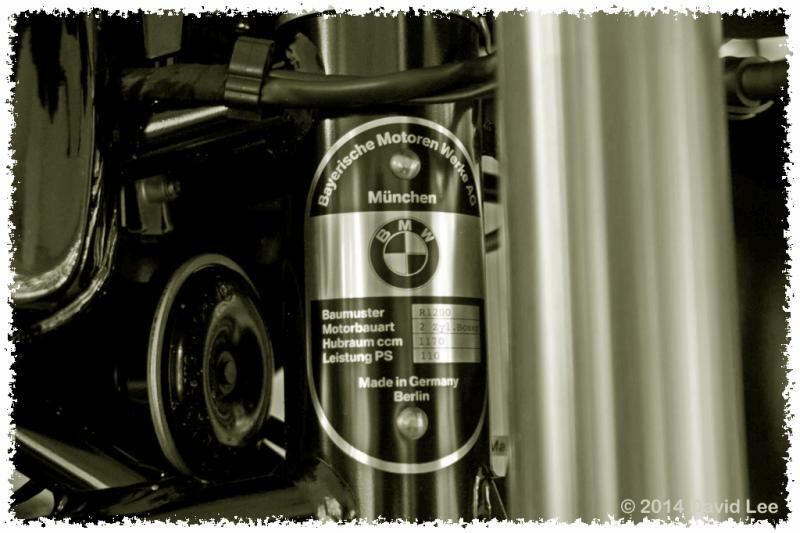 I am really happy that BMW has chosen this engine to put on the R nineT. Didn’t like the older R1200 (hexheads up to 2009) for one reason, it uses the very thin and long left side camshaft timing chain guide. Similar to those used on the even older R1100/1150, and it it prone to breaking. Have seen a few broken units and it is a costly overhaul work to replace them. The DOHC engines have redesigned shorter 2 piece chain guides and so far seem to have resolved the weak link. 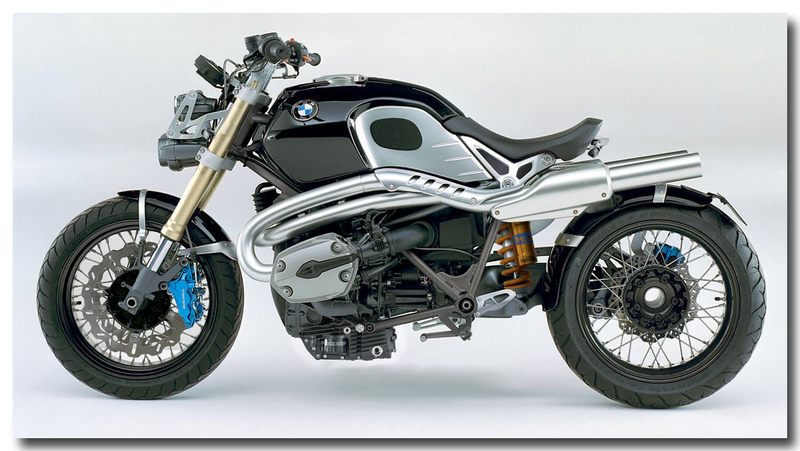 The other attraction I have to the R nineT is the simplicity and minimalist approach to the concept. 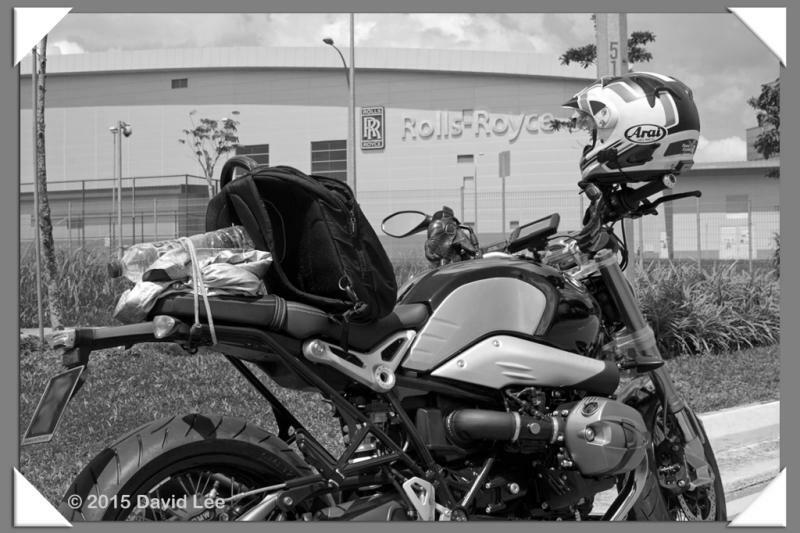 All other non-essentials, comfort and luxury bits that doesn’t really define a motorcycle is not added. The basic anatomy of a motorcycle is just the engine, a frame to carry it and the operator and 2 wheels to roll on. Of course there must be controls for the operator like handle bar and levers and those little bits that allow the motorcycle to join the norms of a monolithic motor carriageway. That’s it. Hell a motorcycle should have no more than 2 cylinders in my opinion! No need for rattling (eventually) plastic panels, audio system to advertise the next Muay Thai match, and so much electronic enhancements that eventually the rider will have to perform a pre-flight check before pressing the start button. 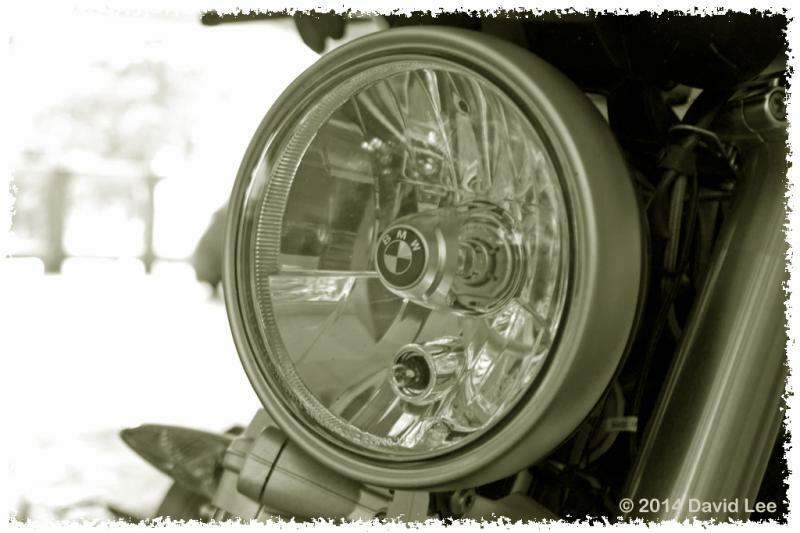 The R nineT is just that, a motorcycle. Read about making Lisha my own.